Off the coast of Lee County, FL, Sanibel Island is a place where visitors and residents alike can enjoy a real island atmosphere, while taking it nice and slow. Quite literally, they are legally required to take it slow, with a maximum speed limit of 35 MPH throughout the entire island. With The exception of a Dairy Queen and Subway, this paradise has actively worked to keep commercialized industry out of the island, in order for local businesses and restaurants to flourish. This among many other things creates a beautiful sense of community within this unique coastal landing, for both residents and tourists to enjoy yearly. 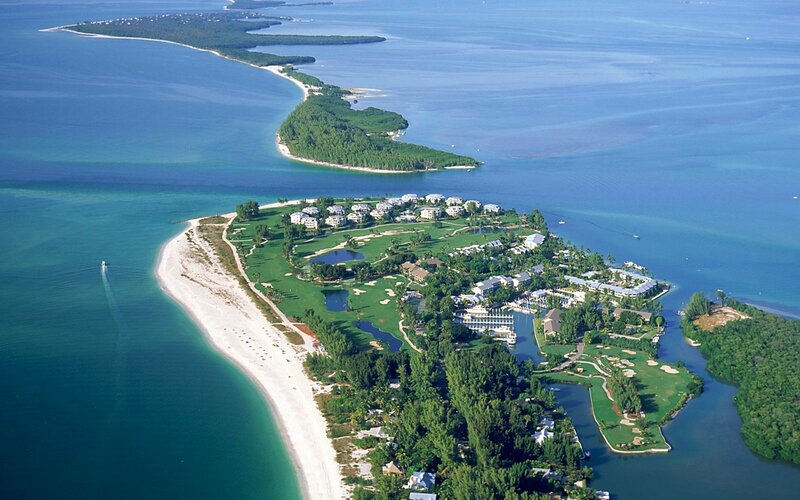 First of all, a main theme that supports the foundation of Sanibel Island is the community created by its residents. They showcase their pride for Sanibel by hosting a “Dancing with the Island Stars” yearly, where professional dancers as well as community leaders put on a dance competition, in order to raise money for the Sanibel Island House, their community center. Bars and restaurants everywhere show the competition live, and it becomes an event witnessed and supported by the entire Island. It is truly special the way the people of Sanibel come together to pursue succession and constant renovation of their small, but strong community. Although, one cannot speak of the treasures Sanibel Island has to offer, without mentioning the preserves that can be explored for mile and miles. Periwinkle Blue Skies Preserve is among some of the best trails in the state of Florida, containing rare and colorful wildlife and plant life. You’ve got to hop out of your car and get on your bike, but once you’ve pedaled all the way to the small boardwalk that stretches out into a beautiful, nature surrounded lake, you’ll realize that the view was well worth the journey. Further off the beaten path, The Bob Wigley Preserve is another great hiking destination, spanning 27 acres, heavily populated be a variety of birds and shrubbery further than the eye can see. If you’d rather relax, yet still explore the nooks and crannies of Sanibel, you can take the family and kids down to Tarpon Springs. It is the perfect place to teach little Johnny how to swim, being that the water only reaches a maximum depth of 4 ft. Here you can rent Motorized canoes, and see the island at your own speed, while sitting back and enjoying the one-of-a-kind true Island feel that this little peace of paradise can only provide.